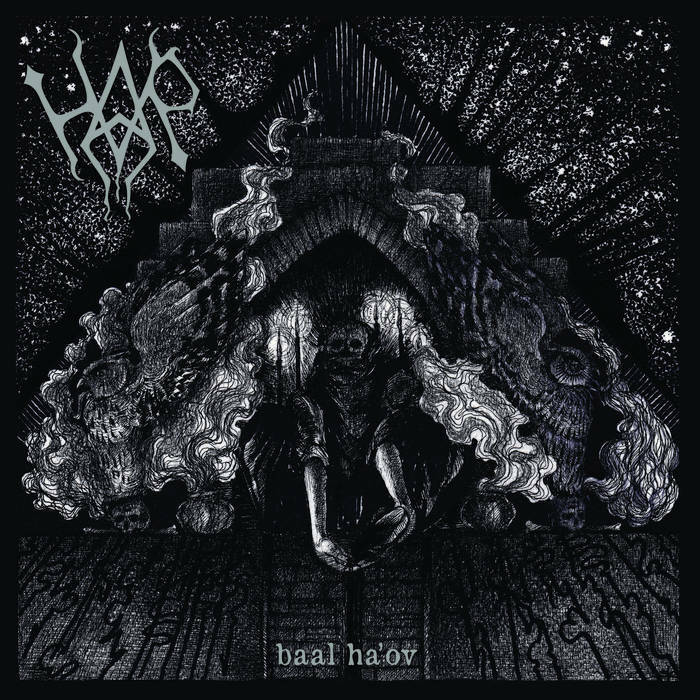 Har are a band from Israel that plays a mixture of black and death metal and this is a review of their self released 2014 ep "Baal Ha'ov". Drone sounds start off the ep and after a minute the music goes for a very fast and raw style of black metal along with a great amount of blast beats and grim vocals and the songs also bring in a great mixture of slow, mid paced and fast parts and the band also brings in elements of brutal death metal into their musical style. High pitched screams can be heard in some parts of the songs and while the sound is very modern you can hear a lot of 90's black and death metal influences in the songs and the riffs also bring in melodies at times and all of the musical instruments have a very powerful sound to them and there is also a brief use of demonic chanting and melodic guitar leads. Har plays a musical style that takes a very raw and traditional style of black metal and mixes it in with elements of death metal to create a sound of their own, the production has a very raw and heavy sound while the lyrics cover dark, horror and occult themes. In my opinion Har are a very great sounding raw mixture of black and death metal and if you are a fan of those musical genres, you should check out this band. RECOMMENDED TRACKS INCLUDE "Forgotten Mother" and "Necromancer". 8 out of 10.